When I was in the Navy, we tried to strip away the emotions associated with climate change as a political issue. It’s a change, and just like changing demographics, political regimes and economic conditions, we need to deal with it. If we don’t, we’re putting ourselves at a competitive disadvantage — and the United States military never wants to be at a competitive disadvantage. The Department of Defense plans for everything, and particularly for potential changes in “the battlespace,” the geography in which we operate. With global sea levels projected to rise anywhere from 20 centimeters (8 inches) to 2 meters (6.6 feet) this century as a consequence of climate change, that’s a change we have to account for and plan for. 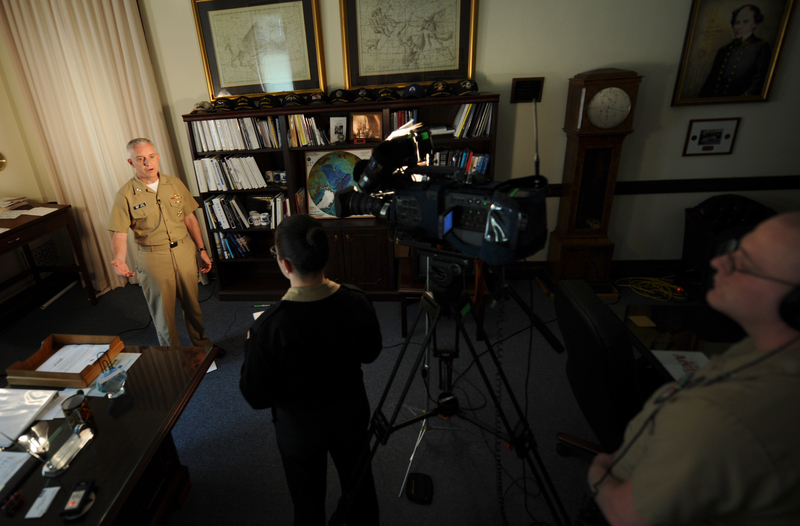 Given Rear Admiral Titley’s breadth of experience and expertise, as a meteorologist, oceanographer and senior leader in the U.S. Navy and NOAA, his warnings and suggestions for action are worth taking very seriously. Click here for more. By Caitlin Werrell and Francesco Femia in climate and security on February 20, 2013 .